New York Governor Andrew Cuomo is cracking down on nail salons that steal workers' wages and expose them to hazardous chemicals. Cuomo issued an emergency order Sunday calling for new rules to protect the thousands of workers in the state's nail salons. The move follows reports published last week in The New York Times exposing the systemic mistreatment of manicurists in salons across the state. "We will not stand idly by as workers are deprived of their hard-earned wages and robbed of their most basic rights," said Cuomo. He said officials will crack down on salons that abuse workers "regardless of their citizenship status or what language they speak." According to the Times, many nail salon workers are immigrants from China and other countries who are easily exploited because they are undocumented. The report, based on interviews with nail salon owners and workers over more than a year, describes a industry that has flourished in recent years amid lax oversight by state authorities. The Times said many workers must pay salon owners for their jobs and often work for free during their training. When they are paid, beginning manicurists earn as little as $1 per hour, well below the minimum for even tipped workers in the state. In addition to being woefully underpaid, salon workers are routinely exposed to harsh chemicals that can cause serious health problems, including miscarriages and birth defects. Cuomo said the state will form a taskforce to investigate nail salons and write new rules protecting workers from potential health hazards. Salons that do not comply with new safety rules and do not fully compensate workers will be shut down, according to the governor. Under the new rules, nail salons will be required to post signs detailing workers' rights in six different languages. 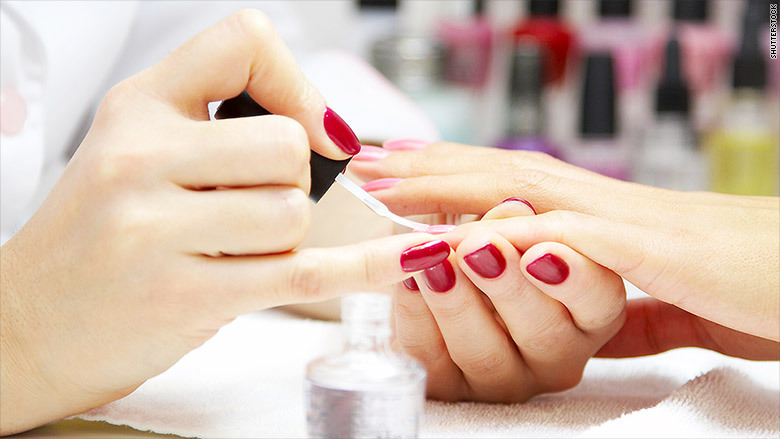 Nail salons will also need to have additional insurance to cover claims of unpaid wages in order to obtain a license from the state. Workers will also be required to wear gloves and salons will need to be properly ventilated. Health officials will study other safety practices and determine if workers should wear more protective gear, such as masks.